Without irony in football, where would we be? 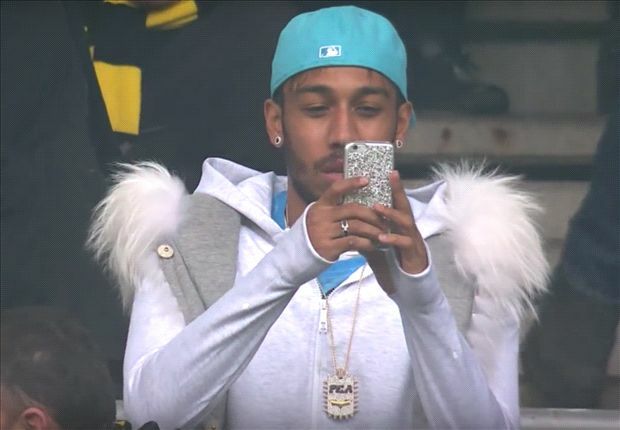 This weekend alone offered sufficient evidence to provoke an investigation into whether it’s as least as much of a driving force in the game as money, and, if Pierre-Emerick Aubameyang‘s fashion choices are any indication, better for everyone’s eyesight. Think about it. Manchester City would have beaten their local rivals 2-0 in the derby, but for Claudio Bravo’s ironic demonstration of how not to be a sweeper keeper. Joe (John) Hart, ghosted by Pep Guardiola upon the former Barcelona and Bayern Munich manager’s arrival, would have used his debut for Torino to show Guardiola what a huge mistake he had made, but instead fluffed his own lines, conceding an equaliser and a late penalty against his new club. In France, Mario Balotelli’s attitude, relative unmanageability and unwillingness to defend on set pieces should, in a balanced world, have resulted in the player having an absolute mare of a debut for Nice. But he scored half the number of goals in one game than he managed in two seasons for Liverpool which then provoked former Red El-Hadji Diouf to pipe up and throw shade on club legend Steven Gerrard. We look forward to Dioufy thrusting himself into conversations about the UK’s Great British Bake-Off leaving the BBC, Brexit and the renegotiation of the Schengen agreement shortly. Not because any of those things have anything to do with him whatsoever, but just because he can. Europe is at the forefront of our minds today, what with Champions League returning, but don’t be thinking domestic football owns the rights to irony. Brendan Rogers was bathing in it when he addressed the press conference convened to discuss his Celtic team’s chances against Barcelona tonight. “Luis Suarez is one of the most beautiful men you could come across. “Very humble guy, who works tirelessly at his profession. He is super-professional, a family man who gives everything for his life as a footballer and his family. It’s awesome to learn that managers appreciate their ‘ballers as much as we do, but if it were us, we’d probably have waited until around 9:45pm BST tonight before showering Suarez with praise. If he sticks five past Celtic at the Nou Camp, there’s a danger Rodgers could end up looking like a buffoon. Not for the first time, admittedly, but still. And finally, let’s head to Rio and have a look at what’s going on in the blind/visually impaired football. Congratulations, Behzad Zadaliasghari. Despite being partially sighted, you’ve scored what is probably the best individual goal in football this week.